Electric Light Orchestra cofounder and drummer Bev Bevan will miss the band’s induction into the 2017 Rock And Roll Hall Of Fame next month due to prior commitments. The group will be honored at New York’s Barclays Center on April 7 alongside Pearl Jam, Journey, Yes, Joan Baez and Tupac Shakur. “Unfortunately I will not be able to attend ELO’s induction into the Rock & Roll Hall Of Fame due to the fact that I am on tour in the UK with another great friend of Jeff (Lynne), Richard (Tandy) and Roy (Wood)..the legend that is ‘Jasper Carrott’,” writes Bevan on Facebook. “These dates have been sold out for some time and when the news broke about our induction it was too late to change them. “It would have been fantastic to meet up with Roy, Jeff and Richard again,” he continues, calling the recognition a great honor. “I have been incredibly fortunate to have had a life in the music business from my first band ‘Rocking Ronnie & The Renegades’ to ‘Black Sabbath and all the bits inbetween including The Move, Denny Laine & The Diplomats, Carl Wayne & The Vikings, Quill, The Electric Light Orchestra, the Brum Rocks concerts, Stand Up & Rock and more… surrounded by great talented musicians. It has been a blast and I still get a buzz every time I walk out on stage. 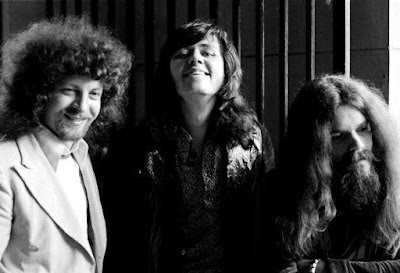 Bevan formed ELO with Lynne and Wood in Birmingham, UK in 1970. The band’s unique mix of rock and classic elements saw the group score a series of hits throughout the 1970s with songs like “Evil Woman”, “Livin’ Thing”, “Strange Magic”, “Telephone Line”, “Shine A Little Love” and “Don’t Bring Me Down”, among others. ELO members went their separate ways in 1986, with Bevan carrying on as “ELO Part II” before selling his half of the rights to the ELO brand to Lynne in early 2000.